60 day Money Back minus shipping costs. Not sure which product to choose or is best for you? Contact our Naturopath for a FREE consultation! Our herbal dog ear cleaner works three times harder than most chemical solutions.! This makes your job of cleaning dog ears and cat ears quick, easy, accurate, and perfectly safe with our 100% natural triple-action formula. 1. quickly DISSOLVES earwax and rinses away oily buildup with no harmful alcohol. Wax and oil melt away with our U.S. Pharmacopeia grade, Kosher, no-GMO, Vegan Vegetable Glycerin. 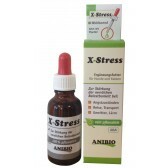 2. is a potent herbal formula that TARGETS three infectious organisms. Bacteria, fungi (yeast) and parasites (mites) decontaminated without drugs or pesticides. Our own herbal blend of USDA Certified Organic Echinacea, Rosemary Leaf, Grapefruit Seed Extract, and Apple Cider Vinegar is effective against a broad range of cat and dog ear infections whether bacterial, fungal or parasitic. Yet the formula is safe and gentle for all breeds of cats and dogs. 3. contains a natural botanical medicine that SOOTHES your dog or cat’s itchy, irritated earsand helps promote rapid healing. Our own extract of USDA Certified Organic Calendula Flowerstakes away dog ear itch and promotes rapid healing of tissue. Simply point the fine-mist sprayer inside your dog or cat’s ears and spray according to label directions. Rub in thoroughly at the base of each ear. Wipe clean with a dry cloth or cotton ball. Your pet will shake its head to dislodge earwax and debris. The underlying problem, often overlooked, is the slow destruction of the immune system due to the presence of an army of hostile microorganisms. As the immune system weakens, your pet is exposed to various diseases. For this reason we recommend to combine Primalix® Immune to the EarMist to those who want to offer a balanced and holistic treatment. Want to buy this product? FREE health consulting INCLUDED! All product statements have not been evaluated by the FDA or by the Ministry of Health. Shake well before each use. Spray in each ear as directed for 7 to 10 days, morning and evening. Rub in thoroughly. Pet will shake its head to dislodge earwax and debris. Do not exceed 3 treatments in 24 hours or as directed by a qualified medical practitioner. For ongoing maintenance, spray once each week. NOTE: At first, your cat or dog will most likely be startled by the "Ssss" sound of the ear spray. This is a normal reaction, also painless, harmless, and a small price to pay for safe and natural cat and dog ear cleaning. Purified Water, Organic Vegetable Glycerin, Apple Cider Vinegar, USDA Certified Organic Calendula Flowers, Grapefruit Seed Extract, Rosemary Leaf, Echinacea Angustifolia and Citric Acid. I chose this product after having tried several ones !! The ears of my sphynz were a disaster and with this product after a few applications everything has improved very much. Highly recommended !!!!! We strive to offer only the best of the best products worldwide. Most online shops always state the same:”We have the best, most natural products!”, so what makes us different? 1) our selection of supplements are searched and verified by our Naturopaths, which are the most appassionate professionals in natural and organic ingredients. Naturopaths love herbs and whatever no side effect treatments Mother Nature has to offer. They study ingredients with passion. It’s connnected with their life mission, with their soul, therefore it’s effortless and not money driven. 2) We only choose brands that have high ethic values, which invest a lot in research and in sourcing the purest ingredients. We also have our ways of “verifying” the company owner or director – if he/she has whatever attitude we do not feel in alignment with our core values, we will not sell his products, even if they are very good. We believe that every aspect of a company is an extension of the people who own it and who manage it, therefore also the products. 3) we avoid as much as possible any synthetic ingredient that can be harmful or toxic to our bodies. We sell products free of GMOs, synthetic substances, gluten, dairy, conservatives, stimulants, additives, synthetics perfumes, and animal testing. 99% of our products are truly natural. In very few cases we allow, for example, a flowing agent called magnesium stearate which is present in many supplements, and is considered generally safe, when it’s not. Magnesium stearate is frequently made with low quality vegetable oils (it’s cheaper) which can be loaded with heavy metals. When we do rarely accept such product in our Fitopets Selection, it is because at this moment, we cannot find worldwide a better alternative. Better for us doesn’t mean only more natural, but it also has to produce results. When we sell a product with magnesium stearate, we ask the manufacturer the heavy metal lab analysis of the vegetable oils they use to produce magnesium stearate. If it is ok, we accept the product – this is how far we go to ensure safety to our clients. 4) we obviously cannot check personally the ingredients and the production processes of all facilities worldwide, but instead we do choose brands with GMP (Good Manufacturing Policy) certification or HACCP certification, which guarantees maximum safety and quality. Where GMP certification is not necessary, we request the MSDS (Material Safety Data Sheets). 5) we always verify how does the manufacturer extract the ingredient, what is the technological process he uses, because it can downgrade the ingredient or considerably enhance it. The final result is the rate of cellular absorption of the ingredient. Everything depends on whether your cells can access and use the supplements you take, and at what percentage. If your absorption rate is low, you are literally throwing away your money through the window. We passionately focus on offering products with the highest possible absorption rate at a cellular level. 6) we constantly verify the market in search of new products which could be superior than the ones we already sell. When we do, we frequently switch to the new product, letting go of the previous one, even if we were selling it well. That is how badly we want to offer only the best of the best, at the cost of even losing some clients, because not everyone likes changing to a new and better solution, even if vastly superior. Another reason why we do this is because we want to minimize your “stress of choice”. Choosing between five liver cleanse products is more time consuming, than choosing the only one available. When you see that one and only product for a symptom or discomfort, you already know you’re choosing the best, and no extra search and evaluation is needed, even though we always encourage it. 7) our Fitopets Selection is not based on trends, but on our experience we build through our free Naturopath Consultings Service. We only sell products we personally use and that we suggest to our clients, who are people. And people are not numbers. We're so confident you'll love our products, we give you 180 days to try it and love it, or we'll provide a full refund. We are PayPal business verified partner. Check our reputation on PayPal. Not sure which product to choose or is best for you? Download our Naturopath's Problem/Solution guide and get your health back on track! The products distributed by Fitoplus/Fitopets are not intended to diagnose, treat, cure or prevent any disease. The information and statements are inserted for educational purposes and do not substitute doctors opinion. Fitoplus/Fitopets does not offer diagnosis of disease, nor prescribes therapeutic medicines, however offers wellness an nutritional products taht could help the body balance and heal itself. These statements have not been evaluated by the Food and Drug Administration or by the Ministry of Health. Natural and wholefood prdoucts of the highest quality. L'80% of the products are offered only by us in Europe. 60 day Honest Money Back Guarantee. Free Health Consulting for our happy clients.